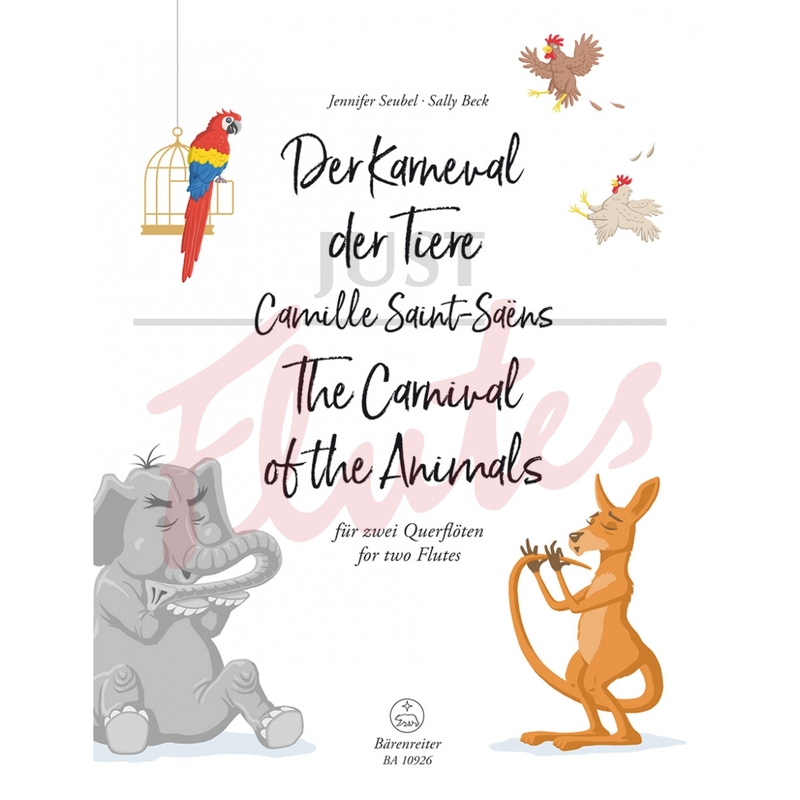 It's such a great idea to arrange Carnival of the Animals for two flutes, and this lovely book will allow access to all those famous tunes! It is inevitable that the standard of the movements will vary and as a result the book can be used in a wide variety of situations. Characters with Long Ears for example, will test ensemble, The Cuckoo reading in four sharps. whilst The Aquarium, Wild Asses and of course The Aviary are technically demanding. Hens and Roosters can be played on the piccolo too which will add even more interest to any performance. Seubel and Beck wish us lots of fun with this book - no problem there! Camille Saint-Saëns’ The Carnival of the Animals is one of his most popular works altogether. Yet during his lifetime he refused to publish this orchestral piece for fear it would damage his reputation as a serious-minded musician. 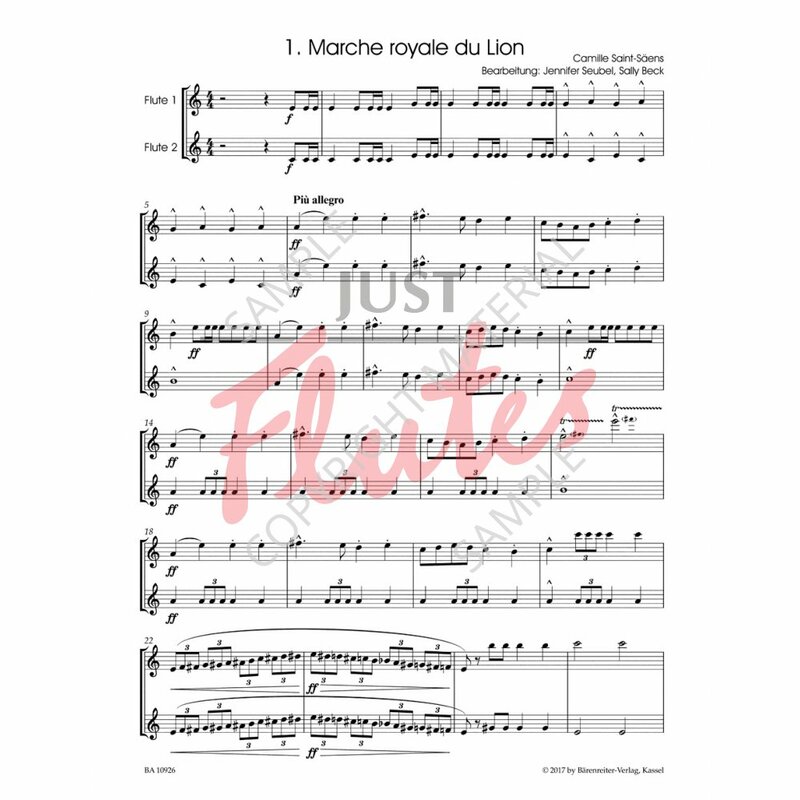 Now Jennifer Seubel and Sally Beck, the flautists of “Duo Noble”, have arranged this famous work for two flutes. 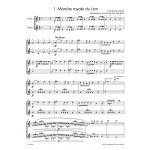 The transformation of the major instruments, timbres and melodies of the orchestral version into solely two flute parts posed a special challenge. The results exploit the full tonal spectrum of the flute. The arrangement offers several alternatives to expand the range of sound: for example, a piccolo can be substituted for either flute part in No. 2 Poules et coqs and for the first flute in No. 7 Aquarium.